I visited twice in 2017. I now have coins that have a young portrait of the queen on them, coins that have a slightly older portrait of the queen on them, a full set of the current coins, and a handful of coins with special designs. 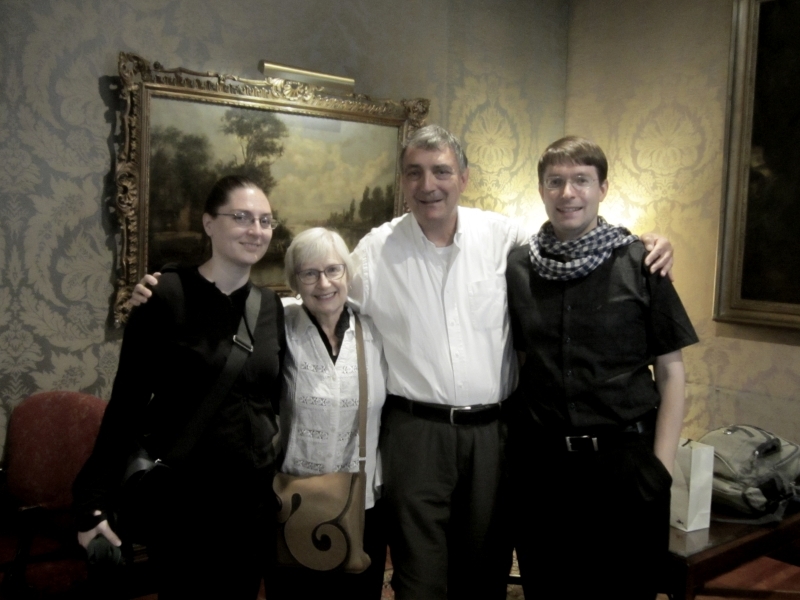 My husband and I went along with his parents on part of their whirlwind trip through New Zealand and Australia. It was one of the longer trips I’ve ever been on (8 to 27 December). We covered a lot of ground in planes, trains, and ferries, though I feel like what we saw in Australia was just the tip of an iceberg—or rather, a continent. 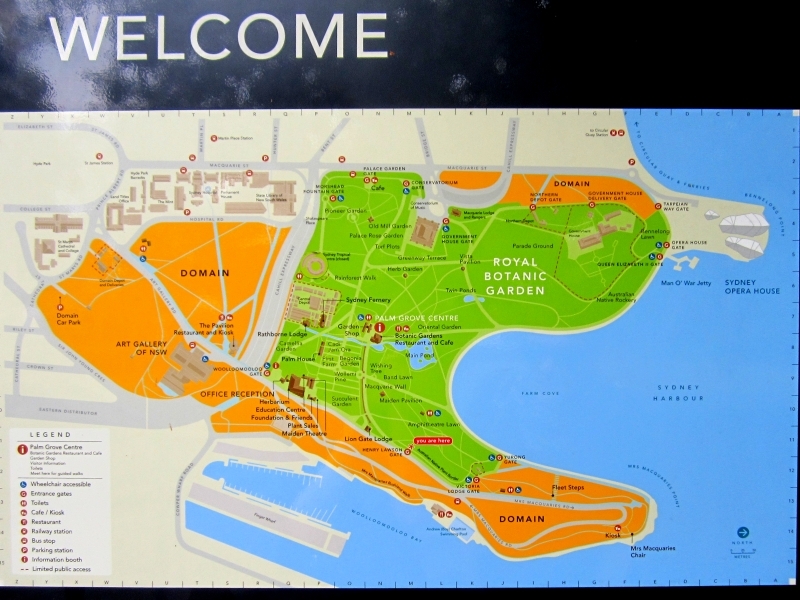 There are lots of landscape photos, flowers and birds, a selection of Christmas trees, some architecture (including earthquake damage and graffiti in Christchurch), interesting textures, signs, and selfies with (among other things) various trees, a plush wombat, and the Sydney Opera House. Since (even after weeding out the less good ones) there are still an overwhelming number of photos, I’ve split them up into different posts chronogeographically. This is all of us at the end of our trip. We didn’t dress like this on purpose. Just a coincidence. Below are 58 photos, mostly of Sydney Harbour and the Sydney Opera House. I was pleasantly surprised by the Opera House tour. Exploring the structure was more interesting than I had been expecting. The shapes are regular and yet unusual at the same time. Historic, groundbreaking, stunning. 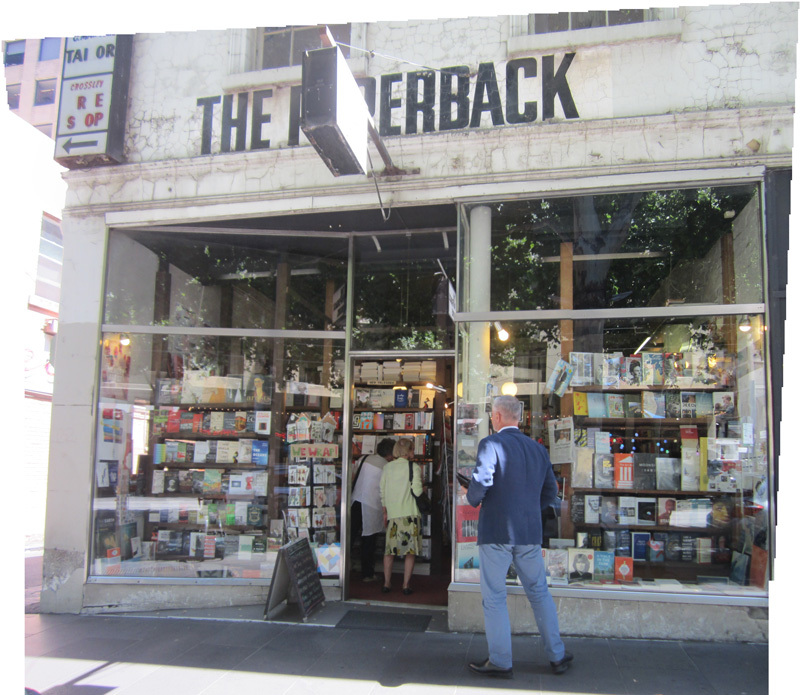 I enjoyed visiting four different bookshops in downtown Melbourne. Hill of Content Bookshop sells new books. I was surprised to see that they had two full-height shelves on the subject of “Critical Thinking”. I was even more surprised when I noticed that the adjacent subject was “Religion”, and had only been allotted one full-height shelf. Ouch. 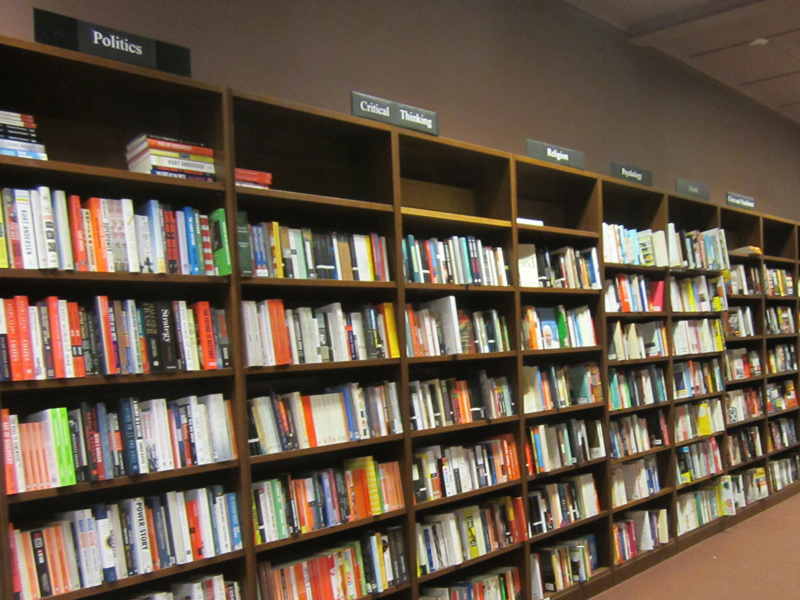 The Paperback sells only new books, but the space felt cram-packed with an eclectic mix of books the way a used book shop feels. 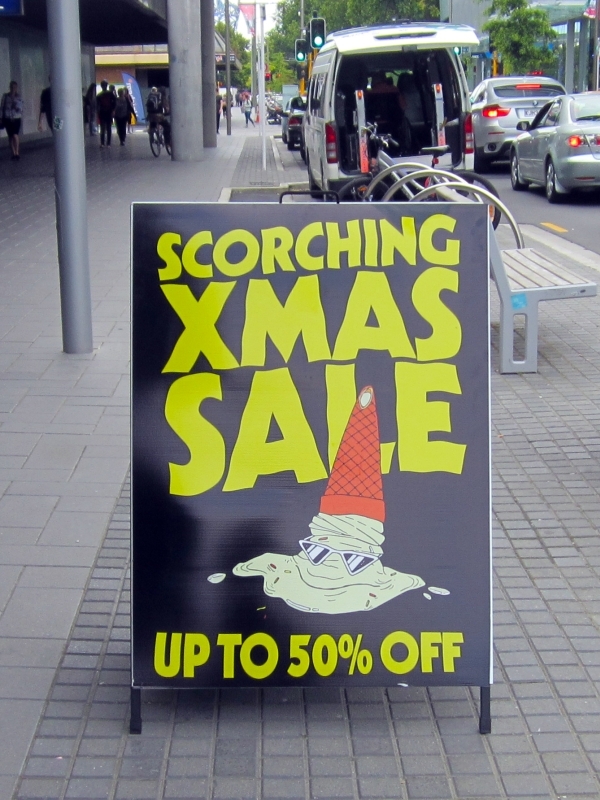 They seemed to be doing a thriving business. Kay Craddock is a longstanding Antiquarian Bookseller with a charming collection of hundreds of owl figurines perched on the shelves alongside the books. The place reminded me somewhat of the venerable Atlanta Vintage Books, where I used to work. 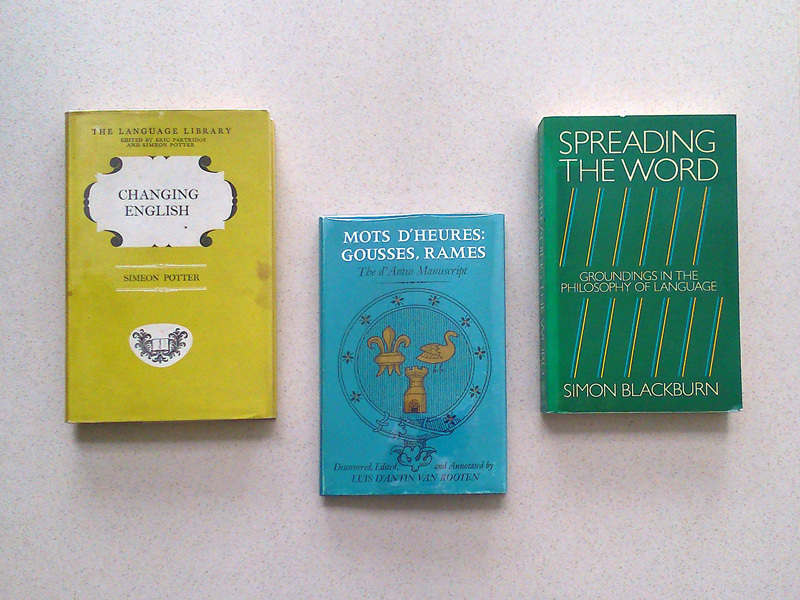 City Basement Books sells used and rare books, and after emerging from a confusing tangle of twists and turns among the shelves, I bought three. 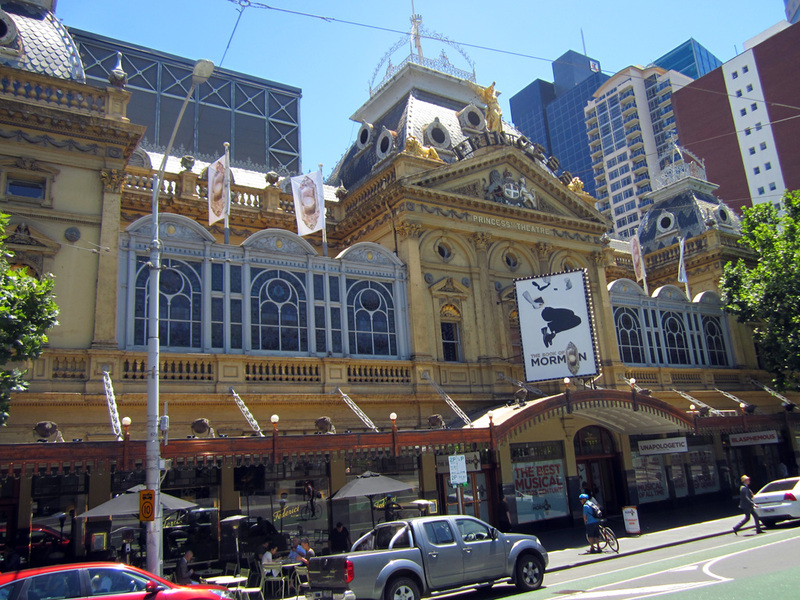 After seeing it advertised on the cover of a magazine in our hotel room in Melbourne, we bought discounted tickets to the local musical production of The Book of Mormon. When we bought the tickets, I didn’t know much about The Book of Mormon musical, except that it was supposed to be shocking. I was curious to see what a musical about a notoriously odd American Christian sect would be like. It was an interesting experience, and I’m glad we went. I imagine this show will never play in Singapore, a country that bans works of religious satire such as Life of Brian because they are thought to threaten social harmony. 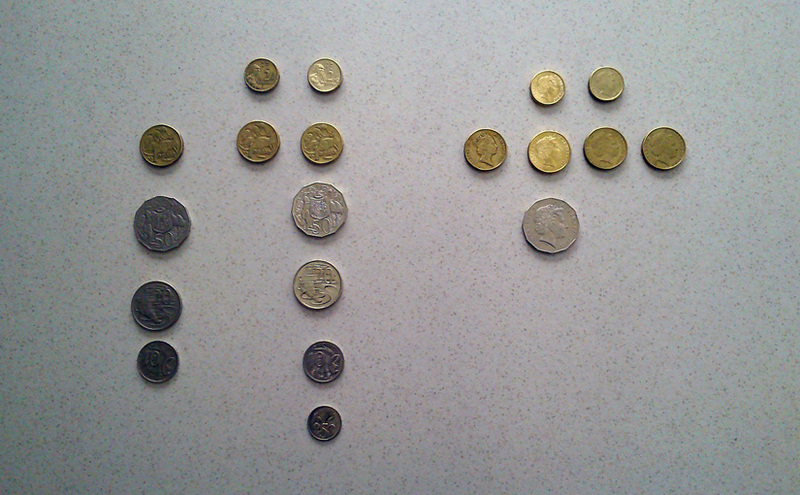 While packing for my trip to Australia, I learned a bit about the different kinds of bills and coins to look out for. I found a fantastic online guide, and reformatted it into a printer-friendly A4-size PDF, which I printed and took with me. My list didn’t do me a lot of good, though, because most of the time I was inside the resort, and the fee for the workshop and lodgings included almost all the meals. Nevertheless, I did manage to get different denominations of bills and at least one of the special-issue coins, along with samples of three different portraits of the queen from different eras of coinage. 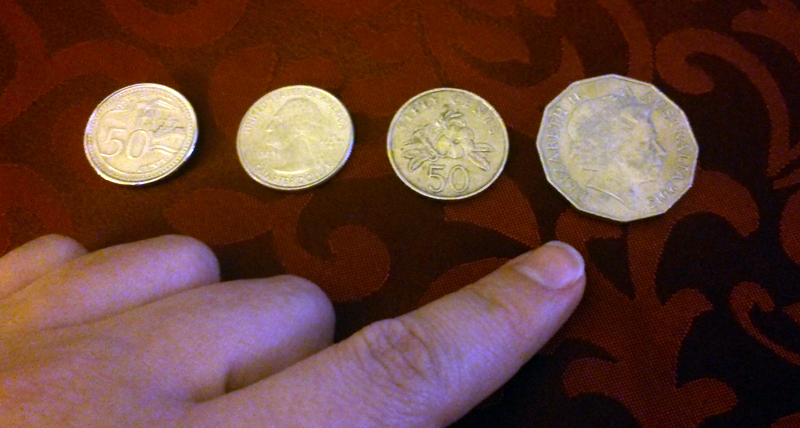 I couldn’t believe—I still can’t believe—how HUGE the 50-cent coins are! I didn’t think any country in the world had coins this bulky. Here’s an Australian 50-cent coin next to a current Singapore 50-cent coin, a current US 25-cent coin, and one of the old Singapore 50-cent coins, which until now I thought seemed big! The twelve-sided shape is awesome, though, I have to admit. The embroidered flag patch I bought in the airport was expensive, but looks to be of good quality. I resisted buying any plastic keychains shaped like kangaroos. The pens were free, courtesy of Greenleaf Press (the organizer of the retreat) and Montville Country Cabins (the workshop and retreat venue where we stayed).